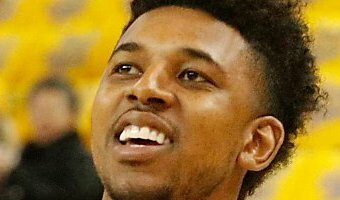 Could Warriors’ Nick Young be a factor vs. Rockets? By Connor Letourneau Updated 3:52 pm, Friday, May 11, 2018 Like most NBA head coaches, Steve Kerr has shortened his bench in the playoffs. It came as little surprise when reserve guard Nick Young, one of the Warriors’ more inconsistent players, spent much of the first two rounds anchored to the sideline. That may change in the Western Conference finals. After Golden State’s Game 5 win over the Pelicans in the second round Tuesday, Kerr went out of his way to mention that Young could be a factor against the Rockets. "Nick Young played really well against Houston this year, and he's a good matchup for them," Kerr said. "I think every series is different, and you have to look at your opponent and figure out what you need to do to match up and to win some battles." Last July, Young took a pay cut to chase a ring with Golden State. Only 15 of his 672 NBA games had come in the playoffs. With a career winning percentage just shy of 33 percent, Young hadn’t gone … [Read more...] about Could Warriors’ Nick Young be a factor vs. Rockets?